Thursdays, Fridays, Saturdays & Sundays. SIMPLY THE BEST” extravagant dinner show in the Gran Canaria. 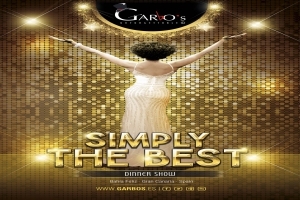 Your holiday is not complete without a visit to Garbo’s and to experience it`s unique dinner show concept. You’r waiters will serve you a 3 course meal with drinks and then you will be amazed to see that they are not only just your waiters but in fact the stars of tonight’s show, performing in this energetic musical production of music, song and dance. A spectacular dazzling acrobatic evening full of live entertainment from beginning to end. Celebrate with us and enjoy “SIMPLY THE BEST” music from Motown, George Michael, Whitney Houston ,Queen, Lady Gaga, Streisand and much much more. 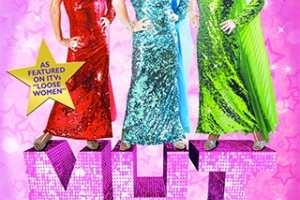 With its fabulous costumes and unique cast of performers, this show brings you over exaggerated comedy reproductions of many famous films such as Happy Feet, The Sound of Music, Hairspray, Mamma mia and much, much more!